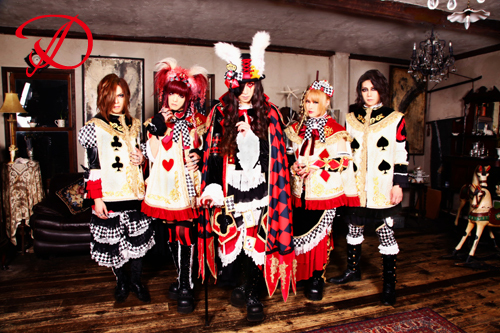 D - New Single "MASTER KEY" | VKH Press – J-Rock & Visual Kei Coverage Worldwide! Home / D / News / D - New Single "MASTER KEY"
D - New Single "MASTER KEY"
Following the release of their single "HAPPY UNBIRTHDAY", The band D will release a new single titled "MASTER KEY" on December 9 in 4 types: Limited edition type A (1944 yen) will include CD+DVD featuring the PV and Making of for "MASTER KEY". Limited edition type B (1944 yen) wll include CD with a booklet. Regular edition type C (1296 yen) will be CD only. Limited edition type D (1512 yen) will include CD with special cover artwork and a sticker. All types are now available for pre-order on CDJapan.